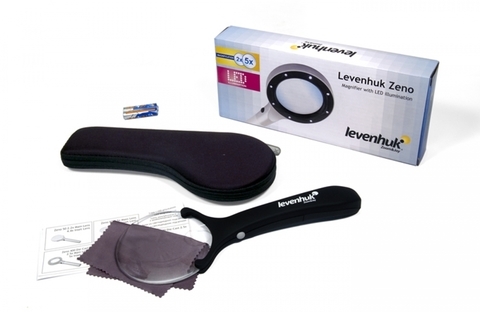 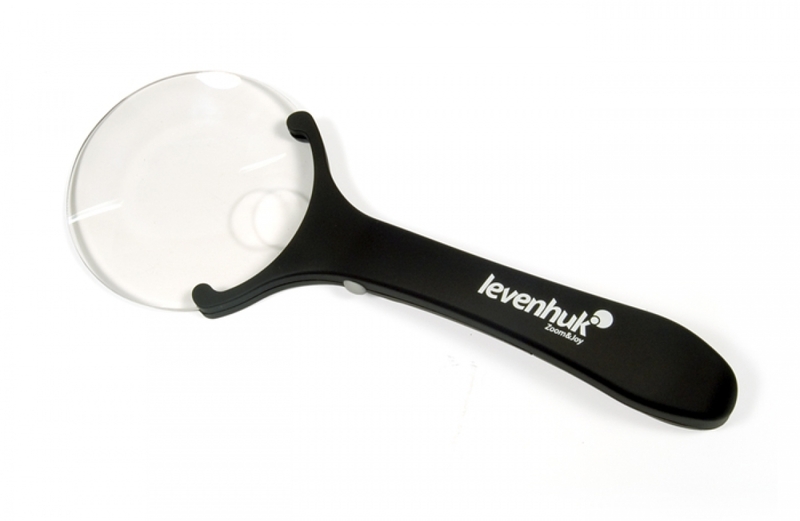 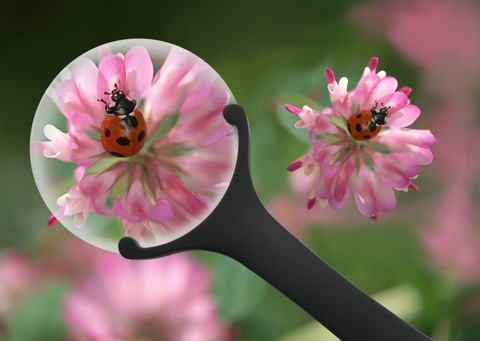 Levenhuk Zeno 60 LED Magnifier is an attractive, well-designed rimless magnifier. 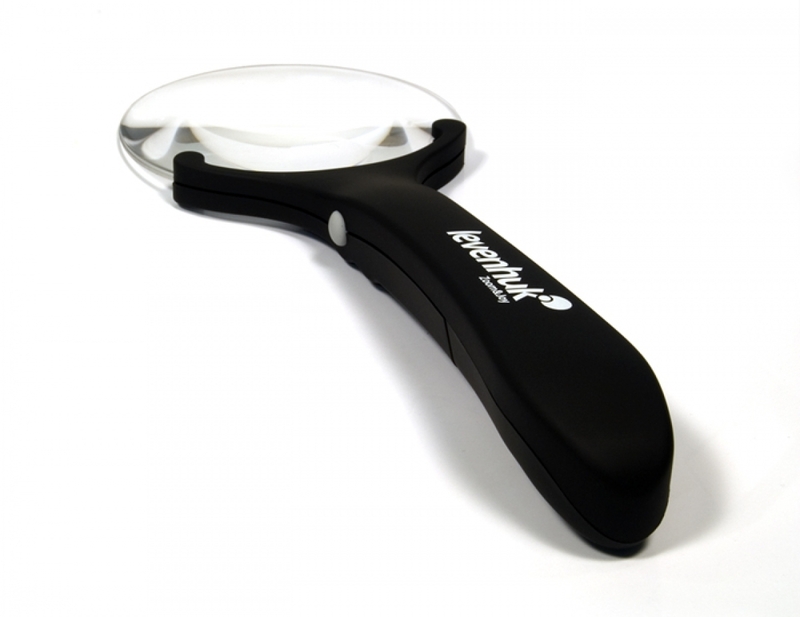 It has two lenses: the main lens and the inset lens - located by the handle - with magnifications of 2.5x and 5x, respectively. This comes in handy when you are reading texts with different fonts; or studying objects with minuscule details. 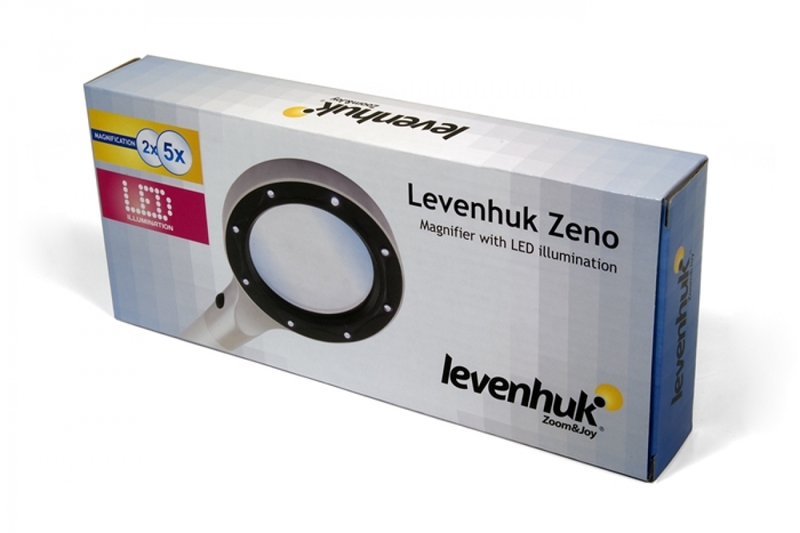 The built-in illumination allows you to use this lens even in the dark. The LED lights provide for even illumination of the observed object, and their bright but soft glow is pleasing to the eye. 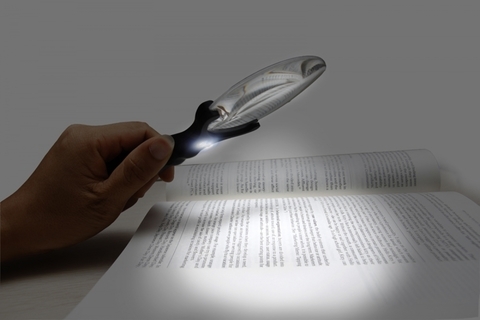 The illumination is powered by two AAA batteries (supplied with the magnifier), and it will serve you for many years to come.